There are a lot of inversion tables on the market, but two brands have made a considerable mark as the forerunners in the industry. Teeter and Ironman are both reliable names when you want to buy quality and durable inversion tables. Both manufactured in the US, these two brands have dominated the business, with Teeter being around for almost four decades! 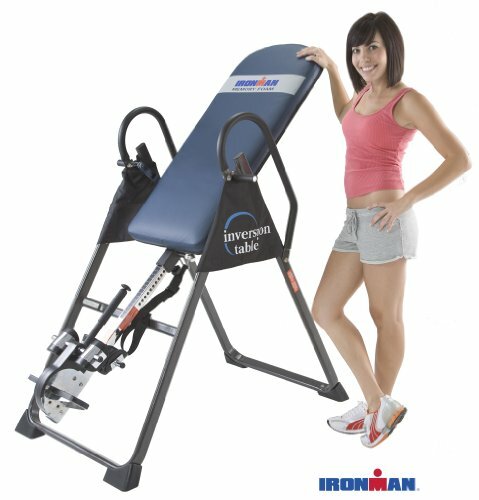 In this article, we will compare the main differences between the Teeter and Ironman inversion tables. Each brand offers an array of features that suits specific needs. Teeter is the only brand to be recognized by the Food and Drug Administration (FDA) as manufacturing inversion tables that belong to the Class I medical device category. This means that said Teeter products are FDA-Registered 510(k) Medical Devices and are designed to address various health conditions. The ailments include back pain, sciatica, spinal degenerative joint disease, spine curvature, stenosis, muscle tension, and others. Teeter has also been third-party-tested by Underwriters Laboratories (UL) for safety and quality. All of their equipment guarantees performance standards that come with patented safety features. On the other hand, Ironman is licensed to Paradigm Health and Wellness - a reputable brand in triathlon racing and athletic training - and is a relatively newer player when it comes to the inversion table industry. Compared to Teeter, Ironman does not have compliance and testing proof for their inversion tables. Both brands get A’s for their sturdy make and comfortable inverting for users. Teeter models come with a ComforTrak bed made of molded plastic that flexes for comfort. Their steel tubular frame provides stability while built-in handles make it easy for users to stretch and decompress their spine. Ironman tables come with a memory foam cushion for the backrest. Users are able to lie down comfortably. However, some say that the foam makes you sink, preventing the body from reaching full decompression. Like Teeter, the Ironman tables are also built using a high-quality steel tubular frame that provides stable inversion each time. Teeter inversion tables are generally pricier than Ironman’s models, simply because the former has higher quality parts that feature patented technology. Why Would I Choose Teeter? 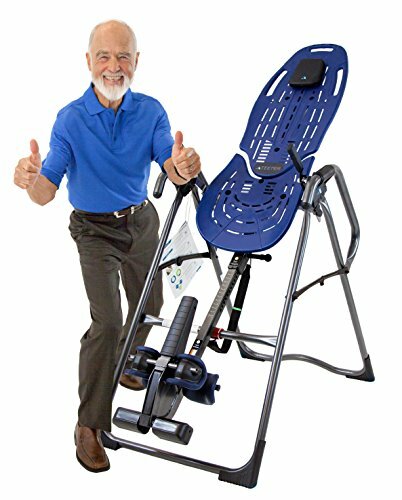 The only FDA-approved inversion table brand has been established since 1981, so you gain 35 years of expertise with Teeter. Teeter has many different models to choose from, so you’re sure to find one that fits your needs. And, Teeter is the leading brand when it comes to stability and precision angel selection when inverting. With Teeter products, you are guaranteed a comfortable inversion session. Teeter’s warranty is longer by four years compared to Ironman’s one-year Limited Warranty. Plus, they have a 60-day money-back guarantee should you become unsatisfied with your Teeter table. Teeter features many accessories that you can add to your table, including boots, acupressure nodes, and a comfort cushion, to name a few. Teeter is ideal for inexperienced users who need a foolproof and secure inversion experience. Your investment will be worth it if you use it on a daily basis. Why Would I Choose Ironman? Ironman offers high-quality tables for a more reasonable price. Their inversion tables have consistently received positive reviews from actual users. Ironman customers are almost always satisfied with their line of products. If you are looking for a reliable piece of equipment and don’t consider the lack of certification an issue, Ironman is for you. Ironman is a great brand for beginners who’ve just started inverting and are still unsure whether or not this practice should be done daily. Since it’s a smaller investment, your wallet won’t hurt too much in case you later discover that inversion isn’t for you. Ironman accommodates a larger weight capacity than Teeter, so it’s a better brand for heavier users. In fact, it can support up to 350 lbs. Ultimately, both companies make great inversion tables that can help you relieve your back pain. However, consider what is most important for you and carefully weigh your goals and preferences before making an inversion table purchase.